Decks are one of the best parts of a home. They provide a relaxing environment to enjoy with your friends and family. Don't risk losing that by leaving your Clutch City deck untreated or go unmaintained for too long. What was once your beautiful, inviting deck could turn into discolored, splintered, or even rotting wood. 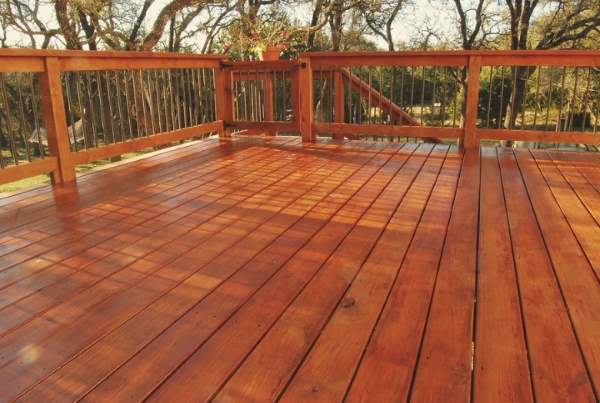 For 22 years, First Choice Painting & Remodeling has offered expert Clutch City deck staining services. Let us be the company you go to for protection. Whether you’re looking for Clutch City deck staining, deck cleaning, deck restoration, fence staining or another surface stained, First Choice Painting & Remodeling is proud to care for and maintain your wood so that you can continue to enjoy the exterior of your home. First Choice Painting & Remodeling has mastered our technique to ensure that we are adding value to your home, and so you can enjoy your newly stained Clutch City deck for many barbecues to come. With 22 years in painting industry, we know that adding too much stain can cause your deck to peel or crack when it's exposed to the moisture of the outdoors. We effectively work the stain right into the wood fibers. First, we will heavily coat the entire wood surface, then brush a few boards at a time from one end to the other to ensure the strokes are smooth and to avoid any lap marks. Call (832) 271-4712 today to get your Clutch City deck looking inviting and like new again!